Sec. 74-137. – Specific prohibited acts. Car drifting on private property within 1000 feet of a residentially zoned district. For purposes of this section, car drifting shall mean a driving technique or motorsport where the driver intentionally oversteers, causing loss of traction in the rear wheels, while maintaining control from entry to exit of a corner. A car is drifting when the rear slip angle is greater than the front slip angle, to such an extent that the front wheels are pointing in the opposite direction to the turn (e.g. car is turning left; wheels are pointed right or vice versa). The full ordinance proposal can be read by clicking here. CLICK HERE to read the full article by Drifted. 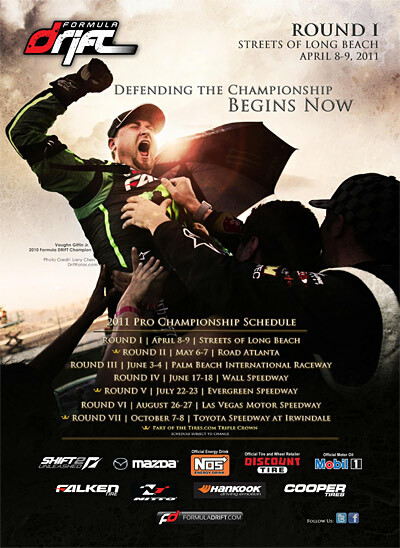 The grassroots drifting documentary has been two years in the making and now it’s finally time to release it to the world! 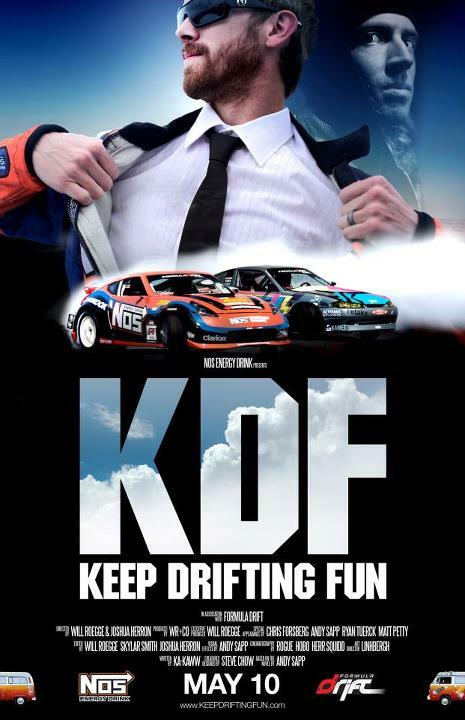 Join Keep Drifting Fun, Formula Drift and NOS Energy Drink for the premiere at the Midtown Art Cinema in Atlanta on Thursday May 10th. The first showing will start at 8pm with a second viewing at 9pm.